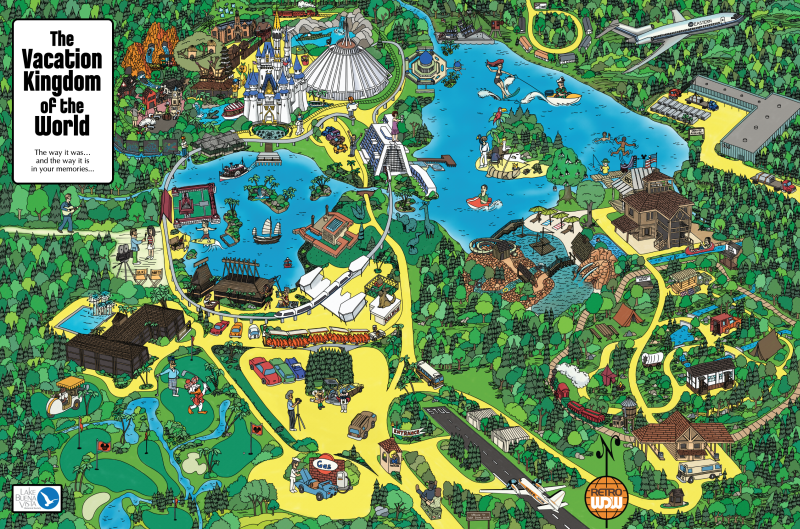 Home » Retro Disney World » Get your own copy of RetroWDW’s Vacation Kingdom of the World Map! Donate and get your Map Today! 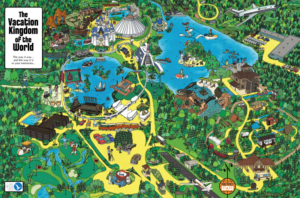 A special map has been created by RetroWDW’s own artist, Jason Bartel. This map celebrates the Vacation Kingdom of the World, and more specifically, “The way it was, and the way it is in your memories”. Taking the style and cues of the 1975 map (and the updated version from the 1976 edition of The Story of Walt Disney World) our version of the encompasses a world that used to be as well as some things that just didn’t make it. You may think Jason just traced the map, not the case…he hand drew every building, attraction, road, tree and detail, right down to the 71 hidden features and easter eggs included! So just what are these hidden easter eggs? The entire map contains references to the stories, legends, and lore as discussed on our podcast. In total there are 71 specifically hidden features! We’ll give you one to get started, on the right you’ll see Pablo Cruise kicking out “World’s Away” as discussed in podcast episode 35! The band was featured in the 1978 TV special “Christmas at Walt Disney World”. 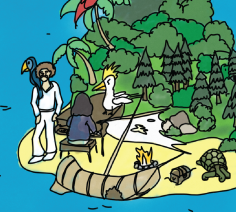 And there is another hidden gem in this picture as well, did you find it yet? You can get your own 24″ x 36″ copy of the map by making a $25 tax deductible donation to The Lake Buena Vista Historical Society! For all of those that donate, between now and January 15th, 2019 you’ll have a chance to enter our “Hidden Kingdom Contest”. Once you have your map, study it hard and then email us a list of as many of the 71 hidden features you can find! 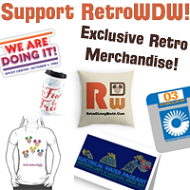 Send your list to contest@retrowdw.com. In the February podcast episode we’ll pick a winner based on those that sent in the most correct items on the list! The winner will receive a hand numbered limited edition version of the map, signed by the artist and the entire podcast crew!